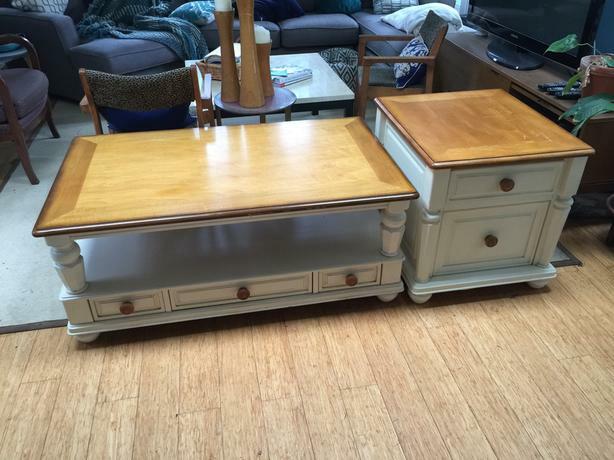 Ashley Furniture Farmhouse coffee table and side table. $325 for the pair. I have a stripe reader if you want to pay with Visa or Mastercard. Please email for info. Thanks.